The first step in the proper care of your wedding gown is to have it cleaned. But who do you trust with your treasured gown? Your local dry-cleaner? A national wedding gown cleaning and preservation company? A little bit of knowledge will help you to make an informed decision. You should be aware that many local dry-cleaners do not clean and preserve gowns in their facilities, but choose to send their customer’s bridal gowns out to wholesale dry-cleaners. There are some risks to this common practice. Wholesale wedding dress cleaning is often done in large machines with as many as 30 gowns at once. It is likely that very little attention will be given to pre-treating or spotting. The dirt from other gowns may even contaminate your gown. And because the wedding gown is usually sealed in a small box, you may never know if the gown was cleaned at all. In determining the best wedding dress cleaning for your gown, you will need to know if your local cleaner does the work themselves, or sends it out; which solvents they use, or if sent out, which solvent the wholesale dry-cleaner uses, and how many wedding gowns will be cleaned at the same time as yours. For best results, find a dry-cleaner who uses virgin solvent for cleaning a wedding dress. Because of ecological regulations and expense, solvents are recycled. Impurities that are not filtered out of used solvent can be re-deposited onto garments. Wedding gowns cleaned in dirty solvent will have a dry clean smell. 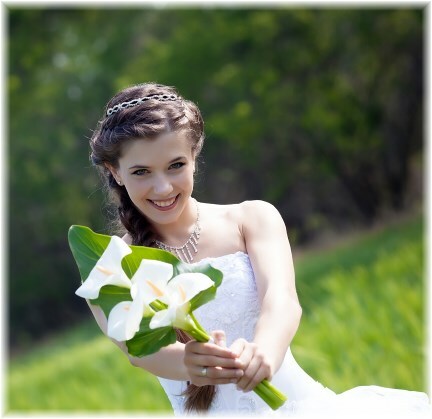 A good dry-cleaner will use virgin solvent on all wedding dress cleaning. Virgin solvent is new solvent or distilled solvent. A clean wedding gown should not smell like cleaning solvent. There should be no noticeable odor. Heritage Garment Preservation uses virgin solvent on all dry-cleaned gowns. 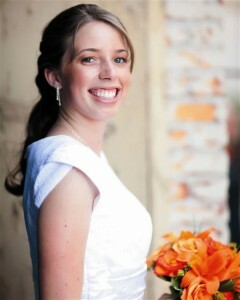 Some dry-cleaning shops use what is called wet-cleaning for their wedding dress cleaning. 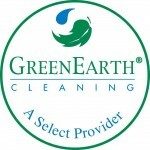 Wet cleaning is simply cleaning with water and has several advantages. It is the best cleaner for sugar spills, most food stains, and dirty hems. If the dress has been well rinsed, wet-cleaning leaves no chemicals on the dress, which will help to keep the dress in the best possible condition. Water cleaning removes the fabric sizing (a starch like substance added to fabric during manufacturing.) Removing the sizing helps protect your gown, because sizing can oxidize into visible stains and discoloration and is enticing to mice and insects! Some professional cleaners may use either dry-cleaning or wet-cleaning, depending on the gown fabric. Many bridal gown care labels specify which type of cleaning will be best for that particular gown. Heritage Garment Preservation uses both wet cleaning and dry-cleaning for their wedding dress cleaning services, determined by the gown’s fabric and trims. Because of environmental and medical impact, many states are regulating dry cleaning solvents more than ever before. Some states are passing laws limiting and eliminating perchlorethylene (the most common) solvent. Consequently, new solvents are emerging to replace perc. The most common are listed below. Perchloroethylene Commonly called perc. this is the still the most common solvent that dry-cleaners use. It is the best solvent for degreasing and may be your best choice if your dress is silk, rayon, or acetate and quite dirty. However, this solvent is more likely to damage sequins and beads, or melt the glue if they are glued on. A very experienced dry-cleaner will know how to protect the sequins and beads on your dress. Stoddard solvent. Harder to find, this is a petroleum-based solvent that is becoming rare. Because of fire regulations, this solvent cannot be used in strip mall type dry-cleaning establishments, and is therefore not commonly used. You may find this solvent in older dry-cleaning shops that have been around for a while. It is safer for cleaning dresses with sequins and beads than perchloroethylene. The Stoddard solvent shouldn’t melt beads and sequins or affect the glue if they are glued on. Hydro-carbon (sometimes called DF-2000) This is a newer formulated petroleum-based solvent. Like the Stoddard solvent, it is safer for beads and sequins, but is not quite as effective at degreasing as perchloroethylene and the Stoddard solvent. However, it has fewer fire restrictions than the Stoddard formula and may be the formula of the future as many dry-cleaning shops change over to this new solvent. Greenearth This is a fairly new silicone based solvent. Like Hydro-carbon, it is safer for beads and sequins, but is not quite as effective at degreasing as perchloroethylene and the Stoddard solvent. However, it is safer for the environment and has less government restrictions than any other solvent. Some bridal gown care labels state, Dry clean only with petroleum based solvent. The Stoddard solvent, hydro-carbon and Exxon DF 2000 are all petroleum based. Many dry-cleaners advertising themselves as “green” are utilizing hydro-carbon solvent or Exxon DF 2000. Also note that Greenearth solvent should be as safe as a petroleum based solvent for your wedding gown. You should be able to find a cleaner utilizing one of these solvents with a few phone calls or a website search. If you wedding gown is silk, then experience is probably the most important factor to consider when shopping wedding dress cleaners. Silk is more difficult to clean and press than synthetic fabrics and requires a truly skilled cleaner. Check with your local bridal shops to see whom they use and recommend. Ask more than one bridal shop. Bridal shops have wedding gowns cleaned on a regular basis. They will probably give you the best advice. Ask the questions listed below to the dry-cleaner that the bridal shop recommends. At Heritage Garment Preservation, cleaning and preserving heirloom garments is our only business. Does the dry-Cleaner use dry-cleaning or wet-cleaning? If dry-cleaning, what kind of solvent does the dry-cleaner use? How much experience does the dry-cleaner have? Who actually does the cleaning and pressing of their customers’ wedding gowns? Often one very skilled person will have this job. How experienced is he or she? Does the dry-cleaner use virgin solvent for wedding dresses? Will the dress be cleaned by itself? If not how many gowns will be cleaned with it? Is the dress insured while in the care of the dry cleaner? What kind of insurance? What fabric is your dress made of? What kind of cleaning does the care label indicate? If it has a dry-clean only label, does it also have the symbol for water cleaning on it? Look carefully; the label may also state Professional dry-cleaning or professional wet-cleaning recommended. How soiled is your dress? What kind of stains does it have (wine, dirt, make-up, etc.)? Does your dress have sequins and beads that need protecting? Are they sewed on or glued on? If your wedding gown and/or lining is silk, rayon, or acetate but does not have beads or sequins you should be able use a dry-cleaner that uses perc. That will be a plus if the dress is really dirty (look at the hemline!) Perchloroethylene is the best degreaser. If your dress is silk, rayon, or acetate, but has beads and sequins, the Stoddard formula, Hydro-carbon or Greenearth will be the safest. Be sure to point out any stains to the dry-cleaner. Also, notify the dry-cleaner of any spills on the dress, even if they don’t show. Dry-cleaning fluids will not remove sugar stains (such as wine or soda), so the dress needs to be pre-treated. *Disclaimer: Check the care label carefully. The manufacturer’s directions should take precedence. The previous and following information is given in good faith but is without warranty. You must make the final decision on how your dress is cleaned. If in doubt, take your dress to the best dry-cleaner available. Use the above information to find one.